Westinghouse Electric has won a contract from Spanish agency Empresa Nacional de Residuos Radiactivos for a nuclear waste storage facility in Spain, while POSCO E&C will construct an 800MW underground combined cycle power plant (CCPP) in Seoul, South Korea. Image: Westinghouse to provide nuclear engineering services for Spanish waste storage facility. Photo courtesy of Nuclear Energy Institute. 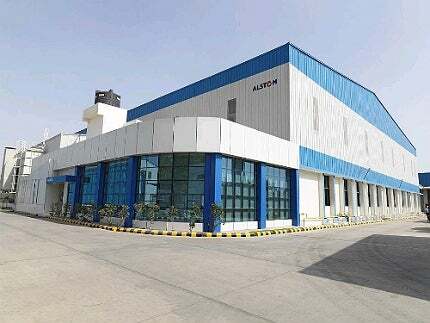 Image: Alstom Vadodara hydro factory in India to manufacture equipment for Ratle hydro plant. Photo: courtesy of Alstom. Image: Contractors start work on the onshore section of an electricity cable at Eneco Luchterduinen offshore wind farm. Photo: courtesy of Eneco. Image: First Solar to construct McCoy Solar plant for NextEra. Photo: courtesy of NextEra Energy Resources. Image: CPV Woodbridge Energy Center will feature FlexEfficiency 60 combined-cycle power plant. Photo: courtesy of General Electric Company. Image: Cutaway peatland areas in the East Midlands region to host around 600-700 wind turbines. Photo: courtesy of Freedigitalphotos. Westinghouse Electric has won a contract from Spanish agency Empresa Nacional de Residuos Radiactivos (ENRESA) to provide main engineering services for the centralised high-level waste (HLW) and spent fuel interim storage facility, Almacen Temporal Centralizado. The engineering contract calls for civil, mechanical, electrical and instrumentation and control (I&C) work, process analysis and the integration of other modules into the project. The contract will see Westinghouse executing those services in a consortium with TRSA and GHESA, the partners of Empresarios Agrupados, that include a revision of the generic design and developing the detailed engineering of the facility’s main buildings. POSCO E&C will construct an 800MW underground combined cycle power plant (CCPP) in Seoul, South Korea, which is said to be the world’s first underground CCPP. To be built under the city, the plant will feature two CCPP units of 400MW being built on the site of the Seoul thermal power plant, which was built in 1930 and demolished in 1982. A POSCO E&C member said the company, in order to place the power generation facilities underground, is required to take around 40,000 x 25t truckloads of earth out of the site to excavate an area of 194m in width and 164m in length, with an average depth of 25m. Alstom has won a contract from GVK Power and Infrastructure to supply hydro turbines for the 850MW Ratle hydropower plant in Jammu and Kashmir in India. The contract valued at €100m ($136m) calls for the supply of four Francis turbines of 205MW each and one 30MW Francis turbine to the project located on the River Chenab near Drabshala in the Kishtwar District. GVK commenced construction on the project on 25 June 2013. Eneco Luchterduinen has officially marked the start of construction of the 129MW Dutch offshore wind farm, by commencing work on the onshore section of an electricity cable at the junction of the Teylingerlaan with the Torenlaan in Voorhout in the municipality of Teylingen. The offshore wind project, which is estimated to cost around $45bn, is expected to be operational by 2015 and will feature 43 Vestas wind turbines and associated transmission lines, generating enough electricity to power around 150,000 households. Located 23km off the coast between Zandvoort and Noordwijk, the project will transport electricity to the shore via a 23km long 150kV underground cable, the onshore section of which (8km-long) will connect the beach of Noordwijk to TenneT’s transformer substation at Sassenheim, ultimately connecting to the national grid. Crompton Greaves has launched its 1,600kV Ultra High Voltage (UHV) research centre at its switchgear complex in Nashik, Maharashtra, India. The research centre is spread across 21,786ft² and is 118ft tall, and nearly INR400m (£4.06m) was invested in the centre. The company claims the research centre facilitates reliable and economic new product development for the global UHV/EHV (extra high voltage) markets, spanning 800kV EHV to 1,200kV UHV power transmission systems. First Solar has won a contract from McCoy Solar, a subsidiary of NextEra Energy Resources, to construct a 250MW AC solar power plant in Riverside County, California. According to the contract, First Solar will provide engineering, procurement and construction (EPC) services, as well as its cadmium telluride (CdTe) photovoltaic thin-film modules for the plant, with construction set to begin in late 2014, creating 400 local jobs, and commissioning will take place by 2016. Located on around 2,300 acres of mostly public land provided by the Bureau of Land Management (BLM), around 13 miles north-west of Blythe, the 250MW plant will be a part of the proposed major project, which will have a generating capacity of up to 750MW. Competitive Power Ventures (CPV), ArcLight Capital Partners and Toyota Tsusho have commenced construction of the CPV Woodbridge Energy Center, a 700MW natural gas-fuelled combined-cycle power generation facility, in New Jersey. Spanning across 25 to 40 acres in Woodbridge Township on the site of an abandoned chemical plant, the project is expected to be operational in the first quarter of 2016 and will generate enough electricity to power 700,000 homes. In September 2013, CPV, GE Energy Financial Services and ArcLight closed financing for the $842m project. Energy company Bord na Mona announced plans to develop the Clean Energy Hub, which will generate around 2GW of wind power and create an export business of €1bn annual revenue for the company. The company plans to develop wind farms with a total of 600-700 turbines on 20,000ha in cutaway peatland areas in the East Midlands region and will cluster the farms to create the hub, which will then be connected to cables to carry power to the British and mainland European electricity market. The company expects to generate up to 1GW of wind energy on these peatlands in the East Midlands, with an ultimate project potential of 2GW, enough electricity to power one million homes, when adjacent lands are included.